The now-retracted story by Mariah Smith alleged that Priyanka Chopra is a scam artist who trapped Jonas into a marriage that he didn't really want. 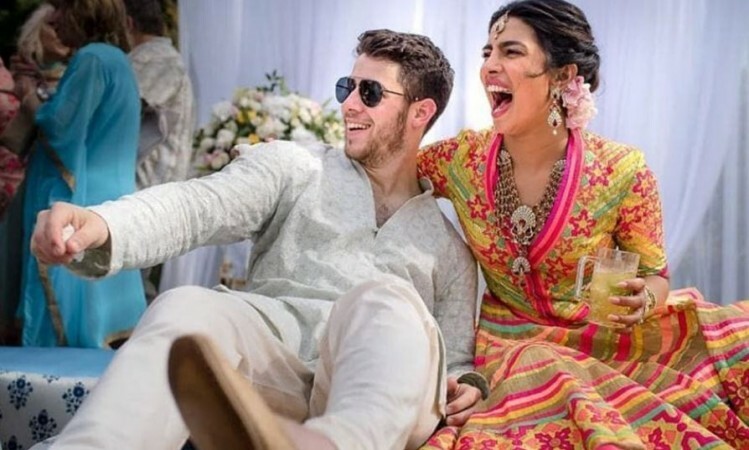 While everyone was busy celebrating Priyanka Chopra and Nick Jonas' grand wedding festivities, New York magazine's–The Cut–had some very unpleasant things to say about Priyanka Chopra which also questioned the integrity of her relationship with Nick Jonas. The Cut's Mariah Smith published a poorly written, misogynistic story that received sharp condemnation from readers and celebs from all across the globe. The article called Priyanka Chopra a "modern day scam artist" and also alleged that Nick Jonas had been married to a "fraudulent relationship against his will". Talking to Hindustan Times on the piece, Priyanka Chopra said, "I don't even want to react or comment. It's not even in my stratosphere. I'm in a happy place at this moment. These kind of random things can't disturb it." The article said that Priyanka's PR machinery was looking out for a romance for her. The article was flooded with sexist and racist sentences like "All Nick wanted was a possible fling with Hollywood's latest It woman, but instead he wound up staring straight at a life sentence with a global scam artist." After receiving massive backlash, The Cut has since removed the article with a note, saying, "Last night, the Cut published a post about Nick Jonas and Priyanka Chopra's relationship that shouldn't have gone up. We've received dozens of messages from readers expressing their anger. We want you to know that we hear you and we're sorry. The whole piece missed the mark. There is no good explanation for this other than human error and poor judgement. This was a mistake, and we apologize to our readers and to Priyanka and Nick."